Italia Mania campaign, it’s about collaboration between Naza Premira Sdn. Bhd. and RHB Banking Group as a partnership for a lifestyle program between the two. The campaign runs for 11 weeks, from 16 October 2012 – 31 December 2012 and is set to warm many hearts with the fabulous prizes in store. By playing game, customers stand an exciting chance to win one of the five classic and trendy Grand Prizes, the Vespa GTS 300, as well as other equally alluring monthly and weekly prizes. The Italia Mania campaign is open exclusively to RHB customers who perform any of the RHB Now financial transactions by spending a minimum of RM30 per transaction. To be eligible for this campaign, customer need to perform the specified financial transactions via RHB Now through web or mobile and will be entitled to play the Italia Mania game. Customer will earn Star Point(s) upon playing the game which is accumulative Star Points will stand a chance to win the weekly cash prize, the monthly travel package for 2 or the Grand Prize, the monthly Italy travel package for 2 or the Grand Prize, a Vespa GTS 300. 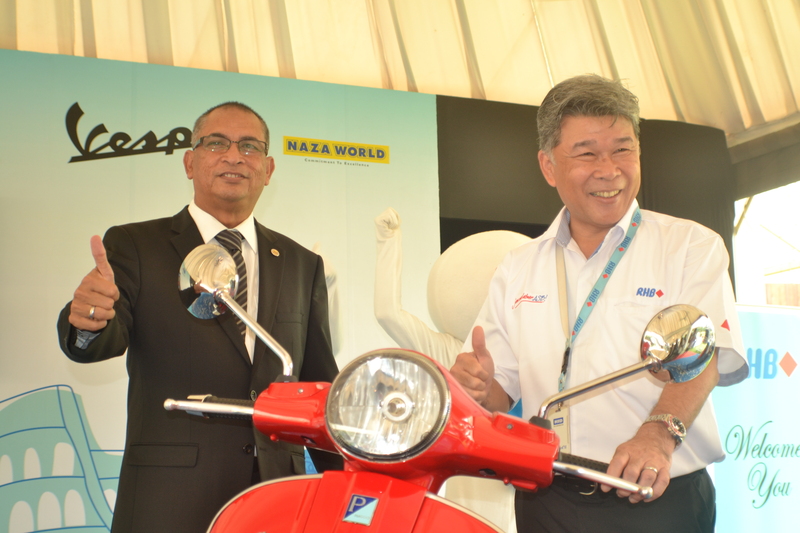 Naza Premira Sdn Bhd, a company under NAZA Group of Companies and the official distributor for Vespa in Malaysia will be the exclusive partner of RHB Bank Berhad for Italia Mania campaign. The continuation of strategic partnership between NAZA Group and RHB Bank aims to prolong the excitement level and interest towards motoring and banking industry.